Photo courtesy of Toby Scott via Flickr CC. Jenny Durkan is Seattle’s first woman mayor since Bertha Knight Landes in 1928. She was sworn in on November 28, 2017. She’s also Seattle’s first openly lesbian mayor. “Let’s get to work,” she said as she took her oath of office in the Ethiopian Community Center in Rainier Beach. According to her campaign, she intends to narrow the political, social, and support gaps between Seattle’s poor and wealthy. “We must remember that our common bonds, our common purpose, are so much more powerful than our challenges and differences,” Durkan said after her oath was administered by U.S. District Court Judge Richard Jones. Durkan’s election will hopefully put an end to the carousel of scandals after former mayor Ed Murray resigned amid criminal accusations. She has a lot on her plate to deal with immediately. Seattle is struggling with excessive commercial growth, a homelessness crisis exacerbated by a police force that has lost the city’s trust, and the bone in every urban center’s teeth: destructive traffic congestion. 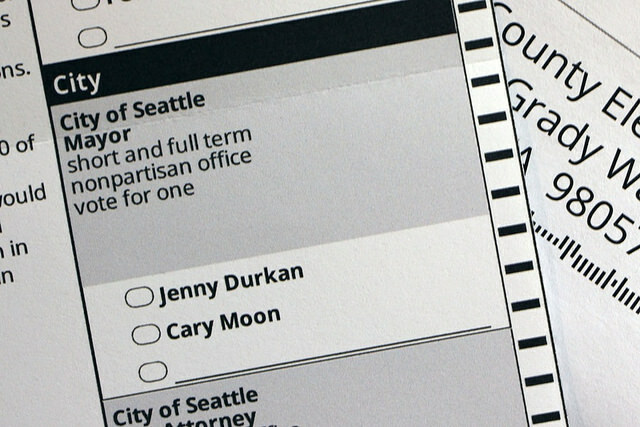 Durkan herself, despite her solid victory in the ballots, still has trust to earn herself. She has been held back by the stigma of being backed by Murray before his resignation, and a strong right-wing opposition accusing her of using her sexuality for poll points. But her resume speaks volumes on her behalf: Durkan has advised two previous Washington governors and served as a U.S. attorney for five years, appointed by former President Barack Obama. She’s also a dynasty politician, daughter of the late Washington State Senator Martin Durkan. And while Durkan’s supporters are also celebrating her win, they still have every intention of holding the newly appointed mayor accountable to her promises.